“Regression testing is a type of software testing used to determine whether new problems are the result of software changes. Before applying a change, a program is tested. After a change is applied, the program is retested in selected areas to detect whether the change created new bugs or issues, or if the actual change achieved its intended purpose,” defines techopedia. 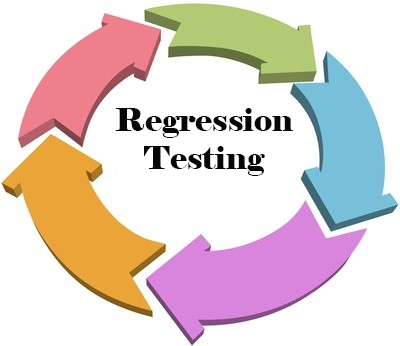 how to analyze the outcomes of the regression testing. Understand your business area. This includes working with business partners and stakeholders to ensure each subset of the business area supported is documented and tracked by the team. Leverage subject matter experts (SMEs) from not only the testing organization, but also the business and development teams. Create, validate and maintain the artifacts. Simply documenting various integration points and subsets of business areas is not the only goal. It is important that, as new releases, updates and changes are rolled out, the suite is revisited and artifacts are updated to maintain the accurate and detailed picture of the business area. Understand the test cases required to build high coverage for the business area. It is important that you review this with the business stakeholders, development and testing teams to ensure agreement and collaboration between the teams. Creating test cases builds the framework for future savings as the test cases are created once in order to be used many times down the road. Build the test suite in priority order. Teams are able to quickly define which subsets of a business area are the most critical to the organization. Based on this prioritization, the test suites must be built in this order. NOTE: Do not confuse “prioritization” with “risk.” Risk-based Testing does not apply to regression prioritization. After a regression test suite is built, teams may find not all regression test cases can be run at times, and a risk based approach must be followed. When this occurs, regression prioritization should be based on the importance of the test cases and whether these cases can detect and identify possible defects in the product. Get Set Go! Begin immediately using regression test suites the moment the first test cases are delivered. Begin experimenting with the test cases, building a lessons learned document, validating with the stakeholders that the quality of the test cases are mapped to the expected results. This ensures that the organization begins benefiting early from the initial regression efforts. Automated Regression Testing is the testing area where we can automate most of the testing efforts. We run all the previously executed test cases on new build. This means we have test case set available and running these test cases manually is time consuming. We know the expected results so automating these test cases is time saving and efficient regression test method. Extent of automation depends on the number of test cases that are going to remain applicable over the time. If test cases are varying time to time as application scope goes on increasing then automation of regression procedure will be the waste of time. Most of the regression test tools are record and playback type. You will record the test cases by navigating through the AUT (application under test) and verify whether expected results are coming or not. Most of these tools are both functional and regression test tools. Adding and updating regression test cases in automation test suite is cumbersome task. While selecting automation tool for regression tests, you should check if the tool allows you to add or update the test cases easily. In most cases we need to update automated regression test cases frequently due to frequent changes in the system. Regression testing increases our chances of detecting bugs caused by changes to a software and application- either enhancements or defect fixes. Also keep one thing in mind that we also don’t give any sort of guarantee that for performing regression testing there are never any sort of side effects also. Regression testing also detects undesirable side caused always by changing the operating environment. The set about regression test is much useful for a new way about doing integration testing. This new mode is quite faster and little confusing than the old way about doing integration testing- but you always need some sort of set about regression test to do it. ← Effective Software Testing Tips – Testers on the Go! Nice coverage on regression testing and I like the approach you proposed for effectively doing it. Lately, I’d also written about it focusing on the strategy to select test cases for regression. See it from here http://www.techbeamers.com/regression-testing/, if wish to. Nice articles, although I would argue maybe the choice of tools, but this is more preference I suppose. Speaking of examples, I was wondering if someone has experience with outsourcing testing services to a 3rd party. I’m in dire need of suggestions. Well I can only speak from personal experience. We’ve worked with a company QA Mentor, who are (as you can guess from the name) quality assurance services provider. Overall, our administration was quite happy with work performed (although we didn’t hire them to perform regression testing, but rather multiple unit and integration checks). Check out their website http://www.qamentor.com/, they cover quite a variety of services.